Sue Wilson is our Trainer in Training. She opened her dog walking and pet sitting business, The Spotted Dog in 2007, in North York and continues to provide the highest standard of care; exercise, socialization, companionship to her canine clients. Sue Wilson is ertified in Training and Counselling through Jean Donaldson's Academy for Dog Trainers (the Harvard of Dog Training Schools). She opened her dog walking and pet sitting business, The Spotted Dog in 2007, in North York and continues to provide the highest standard of care; exercise, socialization, companionship to her canine clients. 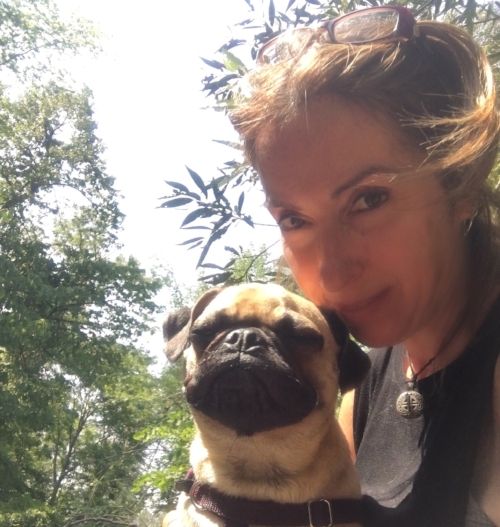 Sue is a graduate of our Pet Professional course and our Cranky Canine program (among other courses and workshops through The TCCE), and uses only a positive reinforcement approach to training. We are thrilled to have Sue on board and every dog she works with is lucky to have her!